Dr. Mithra Gonzalez is an Associate Professor in the Department of Ophthalmology at the University of Rochester School of Medicine and Dentistry. He is affiliated with Strong Memorial Hospital and has a secondary appointment in the Eastman Dental Institutes Department of Oral and Maxillofacial Surgery. Dr. Gonzalez is a skilled surgeon committed to helping patients overcome debilitating conditions or recapture their self confidence. 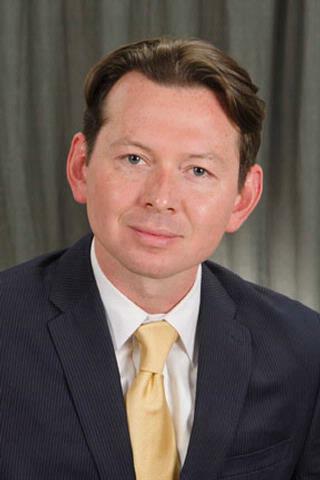 As an oculofacial specialist, he approaches each case understanding the important balance between preserving functional vision and achieving aesthetic goals. Dr. Gonzalez medically and surgically treats a variety of conditions related to orbital and facial trauma, disease and congenital anomalies. Dr. Gonzalez graduated with honors from Virginia Commonwealth University and earned his medical degree at the University of Iowa where he was also a research assistant in the Department of Ophthalmology. He completed a residency in ophthalmology at the University of Rochester Medical Center. He continued his training at the University of Colorado School of Medicine where he completed an American Society of Ophthalmic Plastic and Reconstructive Surgery approved Fellowship. Dr. Gonzalez is board certified in ophthalmology and a member of the American Academy of Ophthalmology. Wozniak RA, Gonzalez M, Aquavella JV. "Keratoprosthesis in Ectodermal Dysplasia." Cornea.. 2016 Jul 0; 35(7):1026-8. Davies BW, Gonzalez MO, Vaughn RC, Allen GC, Durairaj VD. "Dacryocystitis As the Initial Presentation of Invasive Fungal Sinusitis in Immunocompromised Children." Ophthalmic plastic and reconstructive surgery.. 2016 32(4):e79-81. Davies BW, Mollman RA, Gonzalez MO, Hink EM, Durairaj VD. "Biodegradable Fixation of the Orbital Rim After Lateral Orbitotomy." Ophthalmic plastic and reconstructive surgery.. 2015 31(4):287-9.